The X2 series balances feature the latest generation capacitive display providing the maximum comfort of use, available right at your fingertips. Ease of operation, clear menu and practical arrangement of the display guarantee the best ergonomics for your everyday tasks. A wide array of available interfaces facilitate selection of the most optimal means for communication. The X2 series balances offer unlimited possibilities for cooperation with external devices, providing printing, copying, archiving and data transfer. Built-in IR sensors allow numerous operations (e.g. tarring, transmitting the result to a printer or selecting successive steps of a particular process, etc.) to be performed hands-free, by simply moving a hand across the sensor. The housing is made of plastic, and the pan is made of stainless steel. The balances feature under-pan weighing option - the weighed load is suspended under the balance. 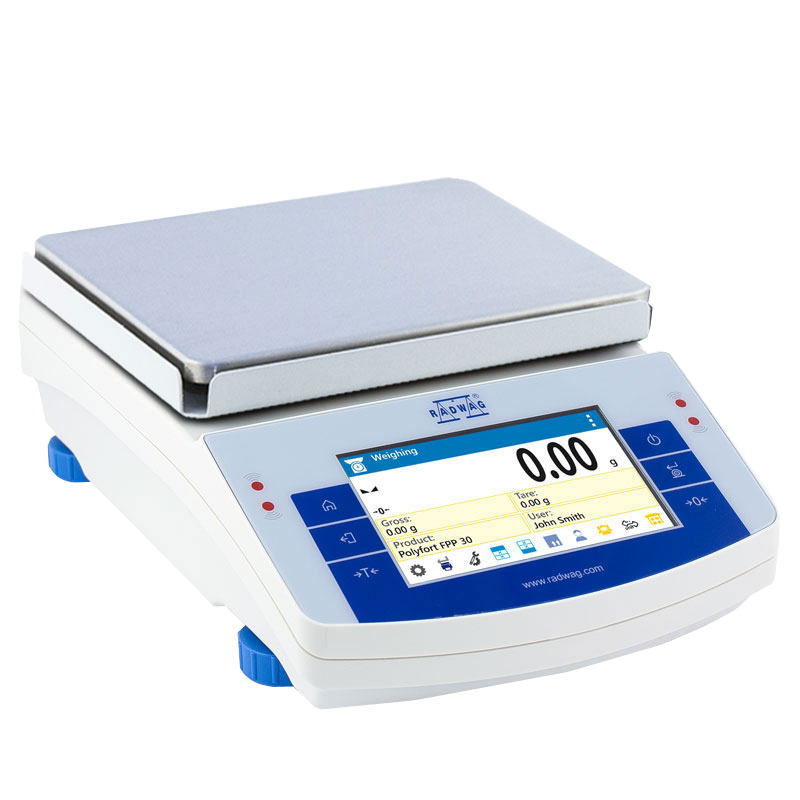 In new PS.X2 series balances the information system is based on 7 databases, which allows for several users to work with several products databases, and the registered weighing results can be subject to further analysis. Reports on density determination (up to 500 reports). 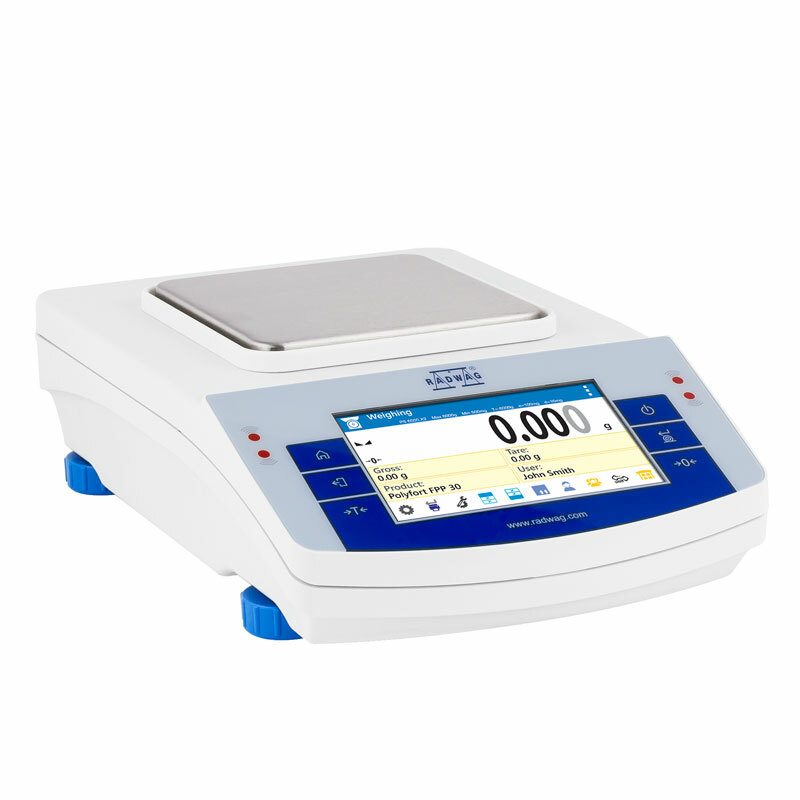 The new PS.X2 high capacity balances (6100, 8100 and 10100) feature centrally fixed weighing pan and additional sealing ring. This solution improves air-tightness and simplifies cleaning.To advance accuracy, the new balances have been equipped with metal anti-draft shield.Additional assets are both expanded capacity (even up to 10.1 kg) and smaller dispersion of weighings – better repeatability. USB interface facilitates quick transfer and copying of any results of your work (measurements, reports, databases) to other balances. Managing the databases of balances may be also carried out over network thanks to E2R system also offering the possibility of remote control. Network management of the weighing data increases effectivity, productivity and safety of the important data to the maximum. The X2 series balances feature ALIBI memory that is a warranty for safety and automatic recording of your measurements. Options such as data preview, copying and archiving are available to users, as well. The used ALIBI memory allows to record up to 500 000 weighment records. * Repeatability is expressed as a standard deviation from 10 weighing cycles. Impact printer Epson Additional LCD display "WD-6"
PC keyboard USB Cable RS 232 (scale - computer) "P0108"
External USB memory (FAT files format) Cable RS 232 (scale, Epson printer) "P0151"